What is Crime in Canada? If you are a victim of crime, or saw a crime happen, this website will show you what will happen before, during and after you go to court. Most of the website’s content is in English. Some information, including links to organizations that can help you, is in French, Spanish, Punjabi, Chinese, and Vietnamese. VictimLINK is a toll-free, confidential telephone service (1-800-563-0808) that provides immediate crisis support for victims of family and sexual violence. The service is available in 110 languages. It also provides help for all victims of crime. This publication explains what you can expect from the police if you are arrested, and how you can respond if you feel the police do not act properly. Also available in Arabic and Spanish. The BC branch of the Canadian Bar Association has prepared a number of helpful audio and text scripts – most are available in English, Chinese and Punjabi. To listen to a script on the telephone, call 604-687-3221 (Vancouver) or toll free in BC: 1-800-663-1919. The website provides text versions of the scripts as well as print friendly versions. This booklet explains what can happen when you plead not guilty to a summary offence. It does not try to cover every trial situation, but provides helpful information if you are representing yourself in Provincial Court. The first part of the handbook provides information about court processes before your trial. The second part explains what will happen at your trial. This guide describes what normally happens if you are charged with assault. It describes what assault is, what the prosecutor most prove in court, how you can defend yourself, and the sentence you could get if the judge finds you guilty. Available in English and French. This guide describes what normally happens when you are charged with drinking and driving. It covers what the prosecutor most prove in court, how you can defend yourself, and the sentence you could get if the judge finds you guilty. This booklet contains information for women in relationships who need protection from violence or the threat of violence. Also available in Chinese (Simplified) and Punjabi. This document contains codes and abbreviations used in criminal court forms and applications. 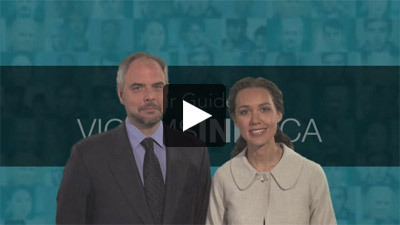 Your Voice in Criminal Court is a video that helps introduce adult witnesses to Provincial Court by offering general discussion points on a variety of court-related topics. Victim service workers, Crown lawyers and other professionals are also encouraged to use this video to support adult victims and witnesses through the criminal court process.